The 150 most essential people in the history of popular culture. Michael Jackson– They don’t call him the King of Pop for nothing. Michael is in the Rock and Roll Hall of Fame for three different acts spanning three generations. Also, he made Thriller. Thriller. Elvis Presley– Mike might be the King of Pop, but Elvis is just the straight up King. If rock and roll has a birthdate, it probably has a something to do with this guy’s hips. Babe Ruth– The man, the myth, the legend. Even all these years later, no one even comes close to the Sultan of Swat. John Lennon– Tough to pick between Paul and John for the higher spot, but Lennon’s activism and early death earn enough icon points to be the difference. Muhammad Ali– So much more than just a boxer, Ali just epitomizes the word icon. Bob Dylan– The voice of a generation and perhaps the greatest songwriter to ever pick up a guitar. Marilyn Monroe– Maybe the most beloved movie star ever, Monroe bedded the top athlete, playwright and politicians of her era. Not too shabby. Michael Jordan– His Airness, the undisputed greatest sports marketing icon of all time. Al Capone– The archetypal gangster, Scarface took criminality to new heights of celebrity. Paul McCartney– May be too low on this list. Paul McCartney is pop music. Charlie Chaplin– For a solid twenty-year stretch, there was no more famous person on the entire planet than Charlie Chaplin. Film classics like City Lights and The Gold Rush still hold up today. Marlon Brando– Brando basically invented acting as we know it today. Frank Sinatra– The dopest crooner that ever lived. Alfred Hitchcock– Arguably the greatest director of all time, Hitchcock was also a larger than life figure that brought the cameo to new heights. Johnny Carson– The guy for thirty years of late night television. Jackie Robinson– A true sports icon and a damn good second baseman to boot. Walt Disney– An animation pioneer, a 22-time Oscar winning producer, and miner of childhood magic. David Bowie– If every one of Bowie’s personas could have it’s own vote, he’d probably be up here five times. Martin Scorsese– Hitchcock and Kubrick may be the two most important directors ever, but when it comes to modern film, no one’s made more classics than Scorsese. Mickey Mantle– If you were a seven-year-old boy during the fifties and sixties, there was no one you dreamed about being more than The Mick. Bing Crosby– No recording artist more sold more than Bing in the 20th Century. Joe DiMaggio– The Yankee Clipper, his 56-game hit streak is one of the most iconic records in any sport. Steven Spielberg– He invented the blockbuster with Jaws, perfected it with E.T. and Jurassic Park, and ascended to new heights with Schindler’s List and Saving Private Ryan. James Brown– The ultimate frontman and the all-time hardest working dude in show biz. Robert De Niro– The Godfather. Goodfellas. Raging Bull. Taxi Driver. A movie resume to rival any in history. Pablo Escobar– The most iconic drug dealer the world has ever known. Mary Pickford– The OG of pop culture icons, Pickford was the original movie star and possibly the first true celebrity. Prince– When you can change your name to a symbol and the world just goes along with it, you know you’ve reached a whole other level of celebrity. Mick Jagger– The most prolific frontman to ever rock an arena. Madonna– A titan of Eighties fashion, music, love, and all around celebrity. Al Pacino– Before he started drifting into caricature mode in the late 90’s, Pacino played some of the most iconic roles in history. Michael Corleone and Tony Montana are the quintessential gangster roles of modern day. Harrison Ford– Han Solo and Indiana Jones. Does it get any more iconic? Paul Newman– From playing Fast Eddie Felson to Cool Hand Luke to Butch Cassidy, there was no cooler star in sixies America than Paul Newman. Tom Hanks– Is there anyone more beloved in Hollywood right now than Tom Hanks? Stevie Wonder– Stevie signed with Motown at the age of 11 and has been killing it ever since. Humphrey Bogart– The ultimate leading man during Hollywood’s golden age. Lucille Ball– The funniest woman on television during a time when everyone was watching the same three things. Everyone loved Lucy. Louis Armstrong– Foundational jazz trumpeter and one of the first mainstream African-American cross-over entertainers in American history. John Wayne– The manliest man who ever manned. Oprah Winfrey–Oprah isn’t just a talk show host. She’s a media empire. Shirley Temple– A child star, American diplomat, and tasty beverage. Eddie Murphy– Arguably the most important star in SNL history, Eddie single-handedly saved the show from extinction following the original cast exodus. Miles Davis– Miles birthed the cool in more ways than one. No modern jazz artist looms larger. Richard Pryor– The father of modern stand-up, Pryor transformed his tragic upbringing into comedy gold. Bob Marley– 10 million dorm room posters can’t be wrong. David Letterman– A titan of late night, Letterman reinvented what was possible in comedy. Meryl Streep– Meryl Streep is to all other actresses what Tiger Woods is to all other black golfers. Mel Brooks– The rare five-tool comedian, Mel’s writing, directing, and acting talents have earned him the grand slam of entertainment awards (Oscar, Emmy, Grammy, Tony). Steve Jobs- A visionary for the computer age. 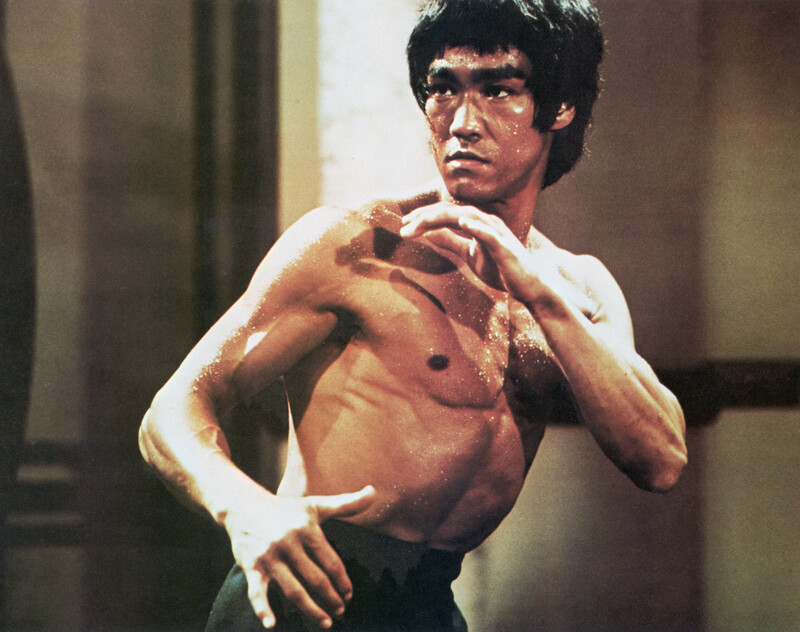 Bruce Lee– As synonymous with the Kung-Fu flick as any one man could be with a genre of movies. Joe Namath– The first true face of football, Namath’s marketability was instrumental to the early success of the NFL. Bill Murray– A national treasure and the funniest guy in every room he’s ever been in. Sorry but….why George Clooney and not Johnny depp or Jim Carrey? Freddie Mercury: the greatest rock frontman. Could just state Queen as a whole given they are the best live rock act ever. Chuck in Bohemian Rhapsody launching the age of the music video. Stan Lee: the godfather of comics. Ozzy Osbourne: frontman of a band that started a genre.